King's Day (formerly Queen’s Day) is one of the busiest days of the year in Amsterdam and public transport in the city centre is affected by restrictions to allow the free movement of people through the city. Here you’ll find the most important information with regard to travelling to, from and within the city on 27 April. The best way to get to Amsterdam for the King’s Day festivities is by train, although count on encountering busy carriages throughout the day! 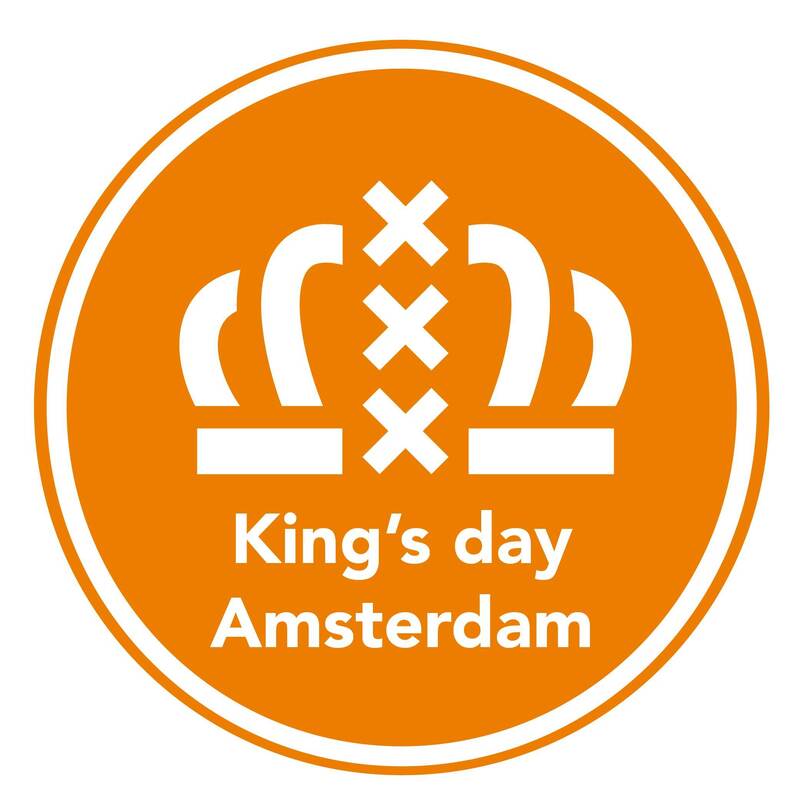 Public transport routes are adapted on King’s Day itself, with the buses and trams only running up to the outskirts of the city centre. If you are travelling by metro, please not that the metro stations at Nieuwmarket and RAI will be closed. Most restrictions on buses, trams and taxis in the city centre are only lifted late in the night of King's Day. Check the GVB website (in Dutch) for more info or to plan your trip using their online trip planner (available in English). In order to deal with the increased volumes of travellers during the celebrations, modified timetables will be put in place on the evening of 26 April and on King’s Day itself. More information about train travel on King’s Day can be found on the NS website. Travelling from another country? Check your international journey on the NS International website. There will be no locker facilities available at Amsterdam Central Station on King's Day, so please plan accordingly. Train services run to the airport on King’s Day, but travellers are advised to allow more time than usual for their journeys. If you are staying in Amsterdam, please allow for the fact that there will be no trams in the city centre and you will not be able to reserve a taxi. It may be worth checking to see if you can travel via another station, rather than Amsterdam Central. The same advice applies to airport passengers stopping over in Amsterdam and those connecting to international trains (see above). If you’re flying into Amsterdam Airport Schiphol and hope to pop into the city, be aware that you might be gone longer than you originally planned (and that the luggage lockers at the station will be out of action on the day)! Large signs are traditionally erected to help you navigate the city, with coloured pedestrian routes guiding the way to major events and points of interest. Cars may travel around the city as normal on the day preceding King's Day but traffic in the city centre is severely restricted on the day itself with the entire city centre being closed off to cars from 07:30 onwards. The car restrictions in place on King’s Day mean that leaving your car at a designated park and ride location is the best option. Please note that the P+R RAI location will be closed on King's Day. If you do decide to venture into the city by car, look out for restricted parking areas marked by yellow signs. The majority of the standard taxi stands in the city centre are out of action on King's Day.